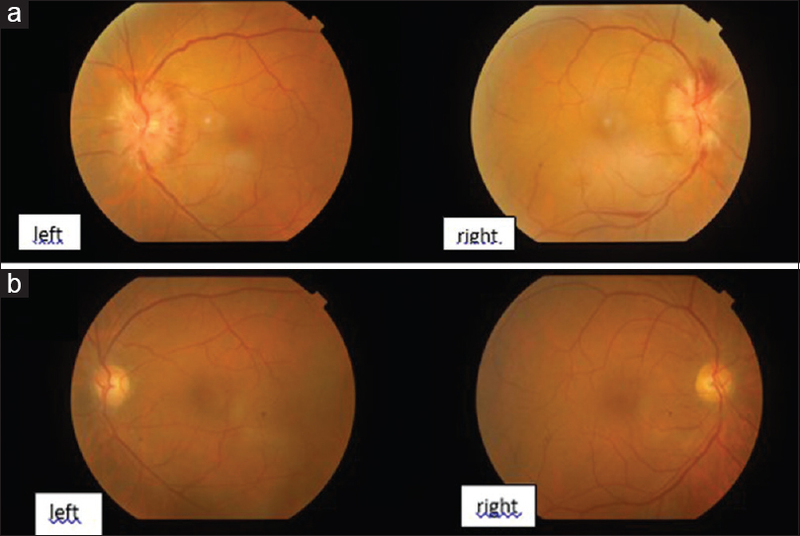 A 59-year-old male presented with episodic headaches and blurring vision, and papilledema (PE) on examination. He had been advised continuous positive airway pressure (CPAP) treatment for moderate obstructive sleep apnea (OSA) and an apneic–hypopneic index of 21 but had not commenced the treatment. Magnetic resonance imaging of the brain was normal, but a contrast examination was not done. Magnetic resonance venography performed to assess the PE, revealed cerebral venous thrombosis (CVT) affecting the superior sagittal, transverse, and sigmoid sinuses. Oral anticoagulants and CPAP resulted in a speedy reversal of both PE and CVT. CVT may complicate OSA and require identification and treatment. Contrast studies are crucial in the evaluation. Symptomatic obstructive sleep apnea (OSA) is present in up to 2%–4% of the adult population, although polysomnography may identify a higher number (24% in men and 9% in women). Many ocular conditions are associated with OSA including papilledema (PE).,, Recently, there have been reports of patients found to have OSA syndrome (OSAS) and cerebral venous thrombosis (CVT). In this article, we report an unusual case of CVT associated with PE and OSA. A 59-year-old obese male (body mass index, 31.2) presented to the outpatient clinic with blurring of vision in both eyes and a history of headache and syncopal episodes. He had consulted a neurologist, and a magnetic resonance imaging (MRI) had been done (plain scan) which was normal [Figure 1]a. On further enquiry, he admitted to symptoms of snoring and waking up at night with shortness of breath, and also daytime sleepiness. Sleep studies performed elsewhere had revealed features of moderate OSA, with an apnea/hypopnea index of 21. He was advised continuous positive airway pressure therapy (CPAP) but did not commence the prescribed treatment. Three days later, he developed blurring of vision. On examination, the visual acuity was normal (6/6, N6 in both eyes). Color vision and macular functions were also normal. The only finding was Grade 4 PE [Figure 2]a. Laboratory tests revealed no abnormality. Coagulation tests were normal, and there was no deficiency of prothrombotic factors (protein C, protein S, lupus anticoagulant, myeloperoxidase-antineutrophil cytoplasmic antibodies (ANCA), serine protease 3-ANCA, antiphospholipid antibody, and antithrombin III antigen). Clinical examination of the central nervous system did not reveal any abnormality. However, a magnetic resonance venogram revealed extensive CVT involving superior sagittal, transverse, and sigmoid sinuses [Figure 1]b. He was commenced on anticoagulant therapy with enoxaparin and later switched to oral warfarin. Over a period of 3 months, PE and sinus thrombosis disappeared along with patient symptoms [Figure 1]c and [Figure 2]b.
Bucci and Krohel first reported a case of PE in a patient with OSA in 1988, who had a tracheostomy for OSA which resolved his PE. Although PE has been reported in patients with OSA, it is not a frequent finding in these patients. The causation of PE in OSA may be multifactorial and may result from derangements that occur due to the repetitive collapse of the upper airway: sleep fragmentation, hypoxemia, hypercapnia, marked swings in intrathoracic pressure, and increased sympathetic activity. Animal and human studies indicate that hypercarbia and consequent cerebral vasodilation could play a part as well as forced expiration against a closed glottis. Cerebrospinal pressures could range between 50 and 750 mmHg. The causation of CVT in patients with OSA is not clear. A host of hematologic conditions, drugs, mechanical factors, trauma, genetic and acquired prothrombotic conditions, infections and inflammatory conditions, and many other causes have been implicated. It is well known that OSAS can cause catecholamine release and sleep disturbance, and that nocturnal hypoxia may lead to erythrocytosis, and polycythemia in the long term. OSAS may also lead to platelet activation. Platelet activation and polycythemia are the risk factors for CVT. There is evidence that CPAP can reverse the hemodynamic changes and hypercoagulability. In our case, there was no obvious cause for the CVT, and hematologic workup including coagulation profile was normal. The resolution of CVT with anticoagulant and CPAP treatment was accompanied by a prompt disappearance of PE and amelioration of symptoms, establishing the relationship between CVT and OSA. In the absence of CVT, CPAP may have sufficed as a treatment for the PE. How long should anticoagulants be used? In the absence of a prothrombotic state, an empirical period of 3–12 months is suggested. If there are prothrombotic states on laboratory testing, then therapy has to be continued lifelong. The treatment is directed against the OSA with the addition of anticoagulants. Lee W, Nagubadi S, Kryger MH, Mokhlesi B. Epidemiology of obstructive sleep apnea: A Population-based perspective. Expert Rev Respir Med 2008;2:349-64. McNab AA. The eye and sleep apnea. Sleep Med Rev 2007;11:269-76. Skorin L Jr., Knutson R. Ophthalmic diseases in patients with obstructive sleep apnea. J Am Osteopath Assoc 2016;116:522-9. Rich GB. Article reviewed: Papilledema and obstructive sleep apnea syndrome. Sleep Med 2001;2:259-61. Kondo N, Ito Y, Kawai M, Suzuki J, Tsuji H, Nishida S, et al. Obstructive sleep apnea syndrome (OSAS) presenting as cerebral venous thrombosis. Intern Med 2009;48:1837-40. Bucci FA Jr., Krohel GB. Optic nerve swelling secondary to the obstructive sleep apnea syndrome. Am J Ophthalmol 1988;105:428-30. Sugita Y, Iijima S, Teshima Y, Shimizu T, Nishimura N, Tsutsumi T, et al. Marked episodic elevation of cerebrospinal fluid pressure during nocturnal sleep in patients with sleep apnea hypersomnia syndrome. Electroencephalogr Clin Neurophysiol 1985;60:214-9. Pathak R, Giri S, Karmacharya P, Aryal MR. Obstructive sleep apnea syndrome and secondary polycythemia: Analysis of the nationwide inpatient sample. Sleep Med 2015;16:205-6.